Suge Knight arrested for fatal hit and run. But was it on purpose? 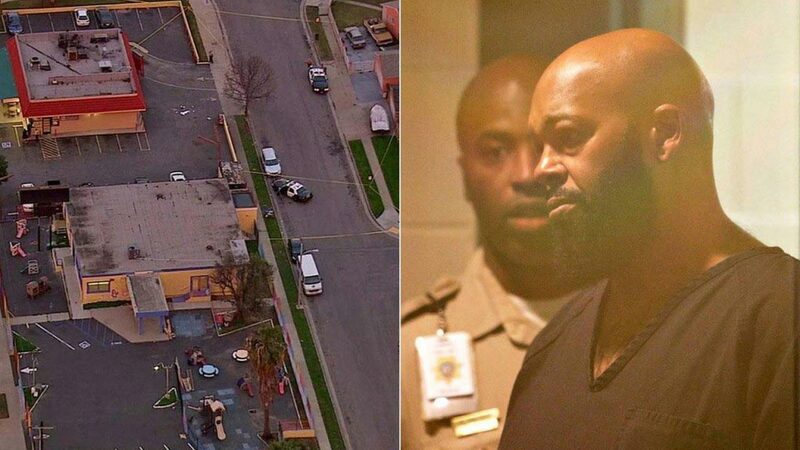 Suge Knight fatal hit and run: Intentional or accident? Rap mogul, Marion ‘Suge’ Knight, 49 has turned himself after fatally running over and killing one man and injuring another on a movie set Thursday night. Killed was 55 year old man, Terry Carter and injured was an unidentified 51 year old man. Of debate is whether Suge Knight to purposefully ran the men over or not? Both men are believed to have been crew members on the set. 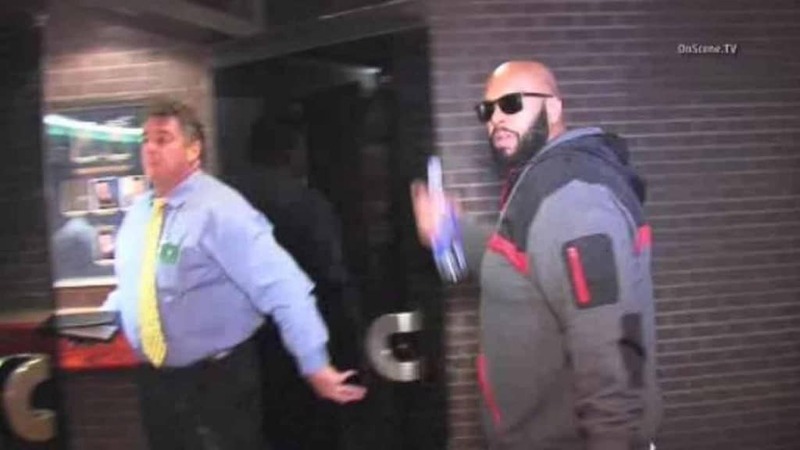 Friday morning the rap mogul’s lawyer admitted that Suge was indeed behind a car that struck the two men but was adamant that the hit and run was unintentional. But there’s a big but. No one believes what James Blatt has to say. Tellingly Corina told members of the media that Knight had gotten into two separate arguments with the two men before the incident. According to media accounts, the argument began when the film’s security guards asked Knight to leave. TMZ reports that one of the critical factors in the case is that witnesses claim Suge threw his car in reverse once, and then a second time … and they believe he intended to hit one of the people with whom he was fighting. The Hollywood Reporter confirmed that one of the altercations took place after filming had finished on a promotional shoot for the upcoming N.W.A biopic Straight Outta Compton. Dr. Dre, Ice Cube and the Game were reportedly all on set for the promotional shoot, but had left before the accident occurred. According to the L.A. Times, Knight followed the two men to the parking lot of a nearby fast-food restaurant 20 minutes after the altercation and struck them with his red pickup truck. Does that sound unintentional to you kids? This morning’s terse handover came after Suge drove off after striking the men (not a good look if it was all unintentional, but who can be sure?) and the LAPD had earlier issues a BOLO (“Be on the look out”) alert to law enforcement agencies for Knight, adding that he was a suspect in a homicide investigation. TMZ said the 55-year-old dead man was a friend of Knight and had arrived with him at the scene and was walking to the passenger door of Knight’s vehicle when the rap mogul hit the accelerator. Last August, Knight was shot six times during a MTV VMA pre-party hosted by Chris Brown in Los Angeles. After being hospitalized and undergoing surgery, Knight was released three days later. In an interview a few weeks later, Knight seemed unconcerned with finding the shooter. Can anyone guess why? At present Suge Knight has been booked on one count of murder; his bail has been set at $2 million. For “being attacked by multiple individuals” he doesn’t appear to have any cuts or bruises on his face…..Just sayin. Suga has not been mentally stable for years, I guess this was the last straw and he finally lost it. Dre and ice cube and Suge are all common low life idiots. Scum of society.. These so called rap artists all need to be wiped off the earth.